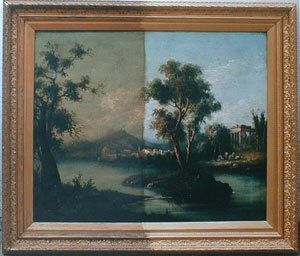 Benards Gallery offers all Restoration of Artwork Services ! We specialise in the Fine Art restoration of original watercolours and oil paintings using the latest techniques and solutions. Every single aspect of the restoration process can be carried out depending on how badly damaged the specific artwork is. 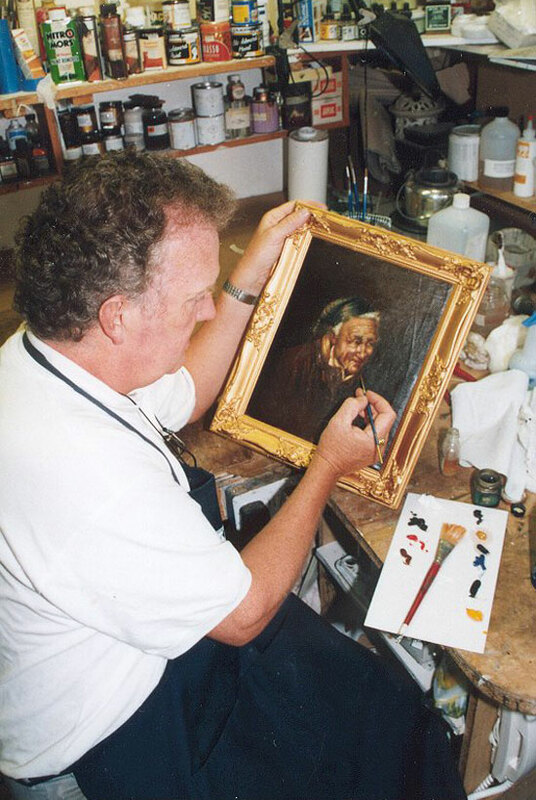 All of the restoration is carried out on the premises by our expert, who has been restoring artwork for many years. He is happy to examine a customers artwork in the gallery and provide a quote prior to commencing the restoration. Art restoration is extremely delicate work, for often the paintings involved are worth thousands of pounds and while expert restoration can increase their value, a badly executed job can have the opposite effect. For piece of mind why not come to the experts ! 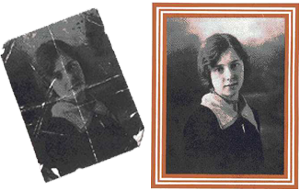 Benards Gallery now also offers a Photograph Restoration Service. We can restore, rescue, revitalise and copy damaged or faded photographs (black & white and colour) using the latest computer technology.